I am lucky to have friends that love Halloween as much as I do. 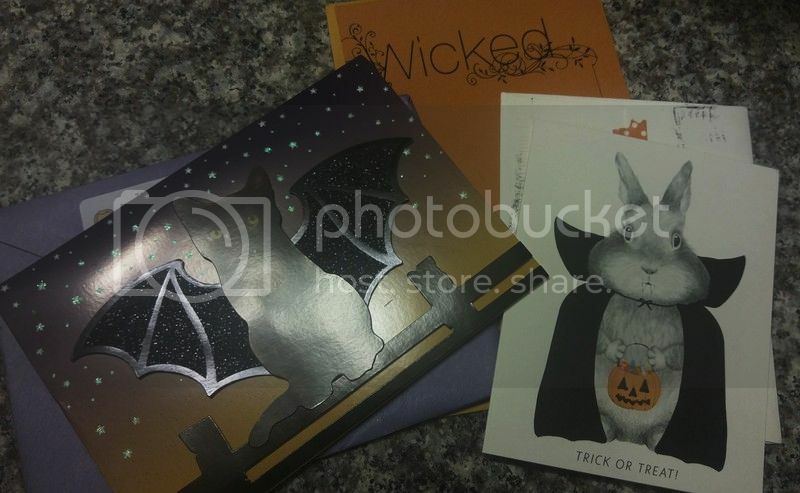 Even though most of my pals live far away the mail lets us celebrate in hauntingly fun ways! 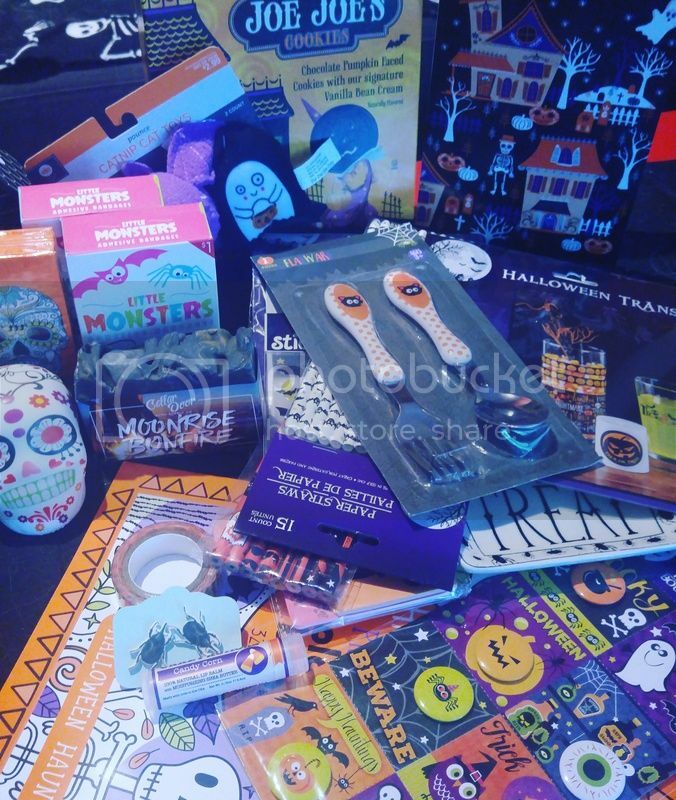 The Spooky Vegan spoiled me once again with a box of goodies in our annual Halloween swap. She sent me an assortment of wonderful stuff including bat stickers, cookies, lip balm, cat toys, buttons and so much more fun stuff! It is like the Pumpkin King came via UPS! Also I have gotten some great cards from my friends. Card sending and recieving makes my heart warm! Such fun mail! I particularly love the bat kitty card!